Posted January 22nd, 2017 by Mike Boyes & filed under Child Development, Early Social and Emotional development, Families and Peers, General Psychology, Human Development, Intervention: Children and Adolescents. Description: How influential do you think something that happened in your first year of life might be on your social and psychological functioning in adulthood? Short of losing a limb it is hard to imagine anything that could happen between birth and one year of age that would have much impact two or more decades later. Given this, what if I told you that there IS something that can hugely affect your friendships in school, your intimate relationships in adulthood and the way you parent your own children? How your parent(s) treated you as an infant and the nature of the attachment relationship that emerged from that treatment is just such an influential developmental factor. Read through the article linked below and, while doing so, think about how your own relationships have gone over the years and what this might suggests about how your own early attachment process went when you were an infant. Source: Yes, Its’s Your Parents’ Fault, Kate Murphy, Sunday Review, News Analysis, New York Times. What thoughts did you have about the nature of your own early attachment experience? If it was secure then, at least in that area, relationship things are well for you. If it was not secure then you may have some insight into ways in which you may have struggled a bit with relationship issues of one sort or another. 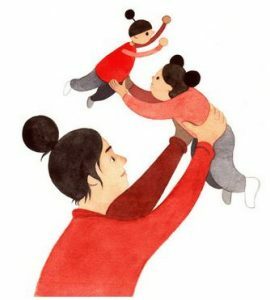 The article mentioned in passing perhaps one of the most important factors to consider when thinking about your own early attachment relationship and any subsequent relationship challenges. Self-awareness, which arises from reflection upon one’s past, present and desired future social behaviour is the key to changing your developmental trajectories. Developmental psychologists working with attachment noted several decades ago that many (perhaps most) parents who treated their own children badly, behaviorally, emotionally, or via neglect, were treated in similar manners by their parents when they were infants. These findings lead to the generally held belief that such poor early treatment of infants, almost inevitably, lead to similar behaviour when the badly treated infant grew up and became parents. It was another decade before research was done that indicated that while being abused as an infant increases one’s odds of becoming an abusive parent it only doubles the odds (up to about 10%) and does NOT run the odds up towards a 100% certainty. What is the difference between those that broke the trans-generational chain of abuse and those who did not? Those that broke the chain of abuse can recall saying to themselves at some point in adolescence or young adulthood that they had to be different kinds of parents than the parents they had — they became self-aware and applied that awareness both to how they were parented and to how they would parent. Self-awareness is the first step towards positive developmental adjustment. What is attachment and how does it develop?? What are the various types of attachment and what sorts of parent behaviours contribute to the development of each? What is required if someone wants to change the relationship consequences of their own early attachment experiences? Howe, D. (2005). Child abuse and neglect: Attachment, development and intervention. Palgrave Macmillan.